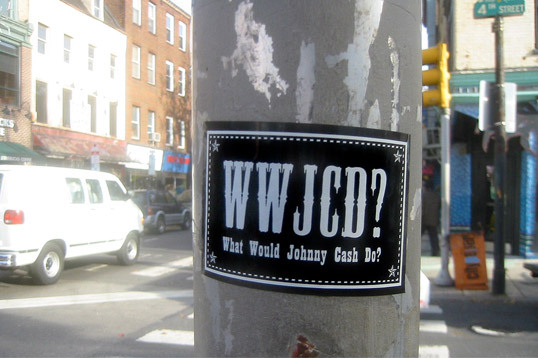 My What Would Johnny Cash Do? 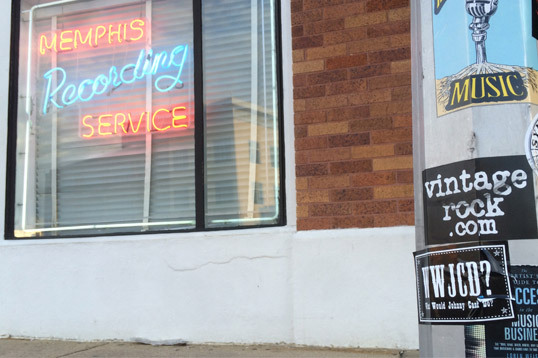 (WWJCD?) 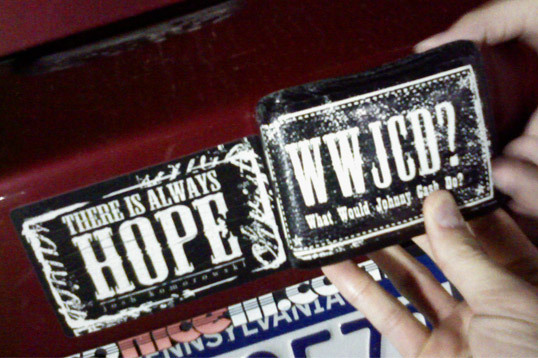 stickers are a play on the What Would Jesus Do? bracelets. 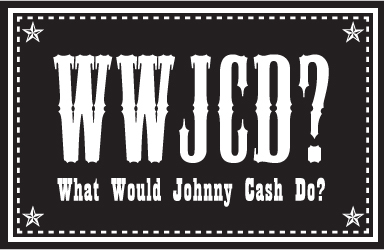 Thinking about what the Man in Black would do in any given situation seems to be a good rule of thumb to follow. Like the Victorian English Empire, the sun never sets on these stickers ... well almost never. 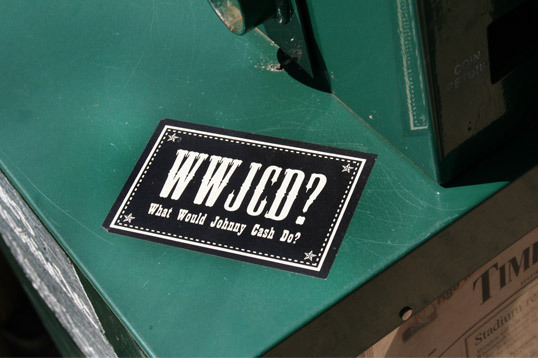 I have WWJCD? 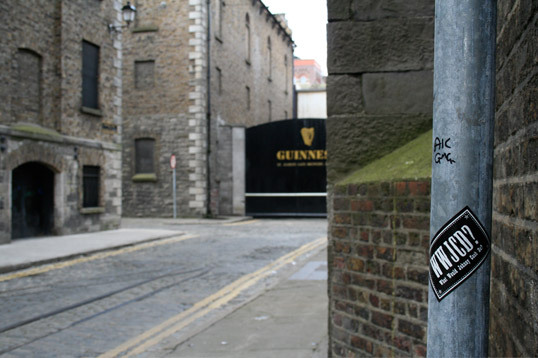 stickers posted in Guam, Italy, Scotland, Ireland, Sun Studio, and across the US.